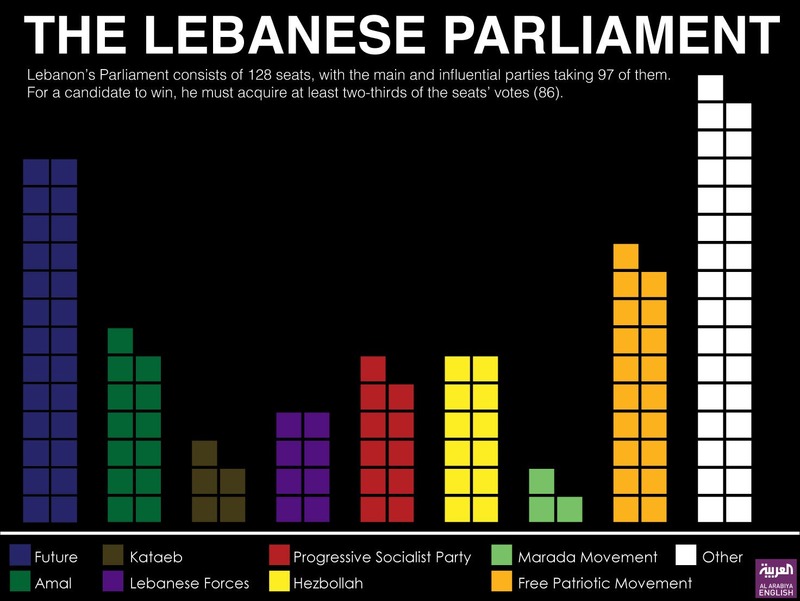 Will Lebanon’s presidential election ever happen? Lebanon’s parliament is set to meet on Monday in a bid to fill the vacant post of president, making it the 36th time MPs have gone through the process in the past 20 months. The two candidates, Sleiman Frangieh - leader of the Marada movement, a political party and former militia group based in the northern city of Zgharta - and Michel Aoun - founder of the Free Patriotic Movement, the largest Christian political party in Lebanon - have each garnered support from their own parties as well as others in the Lebanese political scene. In order for a quorum to be reached, each contender must acquire at least two thirds of the parliamentary vote, and until now, both candidates have failed to reached the minimum. “I came to the conclusion that there will not be a presidential election in Lebanon in the coming period until we get a clearer picture of what is going on in Syria,” said Amin Ammourieh, a journalist and political analyst in Lebanon. Both camp’s backers have stirred controversy within the nation, where allegiances never before thought possible have been formed. Saad Hariri, leader of the Future movement set up by his late father, the statesman Rafiq Hariri, has backed Frangieh’s presidential bid. This caused a commotion in the country as Frangieh’s loyalty to Hezbollah, a Shiite Islamist militant group and political party based in South Lebanon, and its leader Hassan Nasrallah is well known. Moreover, Hariri is pro-Saudi and anti-Syrian government, which causes concern as his candidate is a supporter and close personal friend of President Bashar al-Assad. “Both ways March 8 [a coalition formed mostly of the Shiia dominated political parties] are winning the elections, so Hariri took the initiative by supporting Frangieh and left the problem with the others,” Ammourieh said. Hariri was a close ally to Samir Geagea, leader of the Lebanese Forces, a political party and former Christian militia that makes up the second largest Christian party in the parliament, before siding with Frangieh. 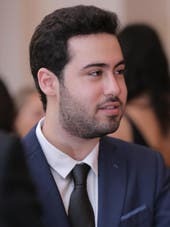 The analyst is referring to the Saudi-brokered Taif agreement that ended the civil war in Lebanon, which Aoun strongly opposed, that was signed by the surviving members of the ‘72 parliament, including Geagea, which led to the former’s exile to Paris, as well as the Ehden massacre that saw Franjieh’s parents murdered by the Lebanese Forces militia. After years of hatred and tension, Geagea, who was initially a candidate for the presidency but ceded his contention, backed up his former enemy for the presidential bid. This came as a shock to Lebanon, who would not have even predicted such an alliance after their clashes during the civil war. 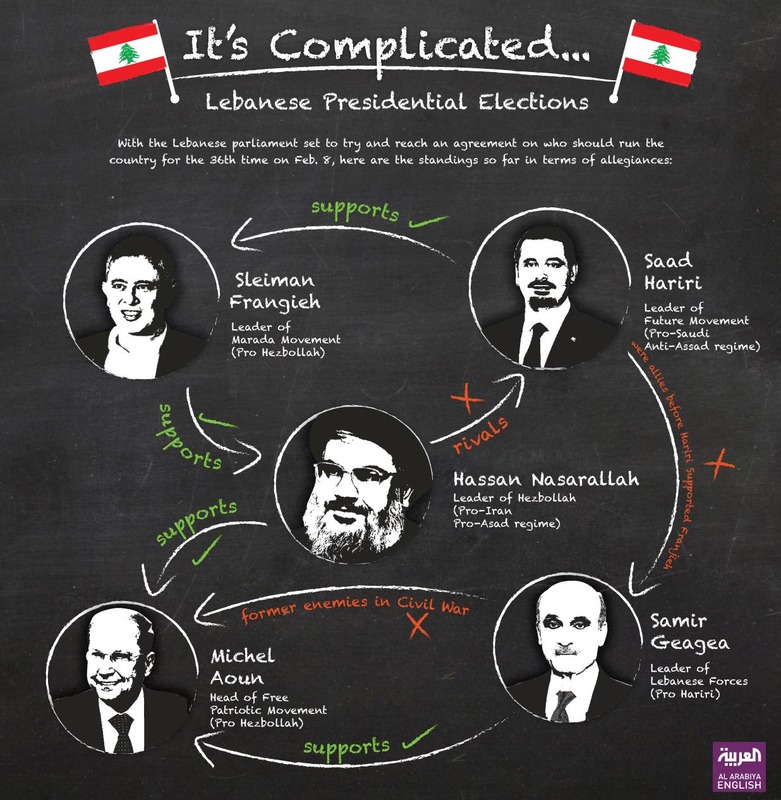 Nasrallah is a winner both ways with each candidate loyal to his March 8 bloc. But his preference lies with Aoun as he has re-iterated several times to the press. Three main and influential political parties have yet to announce their allegiances; The Amal movement - headed by parliament speaker Nabih Berri, whose allegiances lie with March 8 - the Progressive Socialist Party headed by Walid Jumblatt who represents the Druze of Lebanon, and the Kataeb party headed by Samy Gemayel, son of former president Amine Gemayel. “Amal will be the decisive party, should Berri decide to whom he shall vote,” Ammourieh said. “[Amal] clearly doesn’t look like it is inclined towards Aoun. There will be a difference in opinion towards the presidential choice between Nasrallah and Berri, because Berri knows that there will not be a session on the 8th which is why he is keeping his allegiance silent,” he continued. 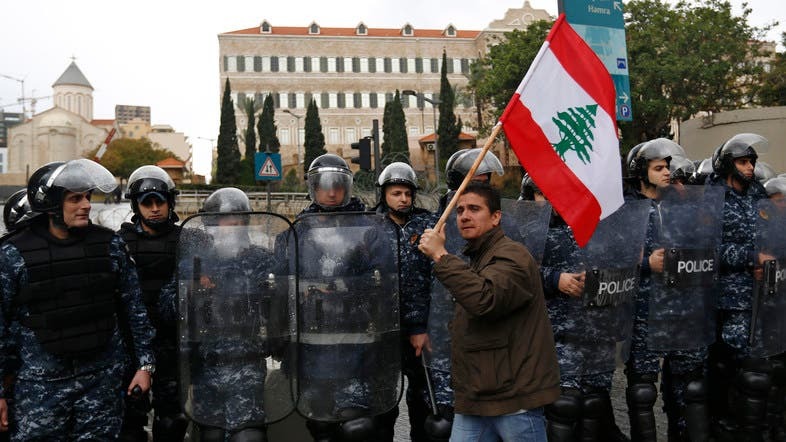 Lebanon has long been under the heavy influence of foreign powers. From the Ottoman Empire in early 1900s to the French colonization in 1920 and Syria troops entering in 1976, the country has always had a form of foreign intervention that dictates the way it will be run. “It [elections] needs an influential decision, and this decision has to come from a foreign superpower, evidently USA and Russia, and they will give instructions to Saudi Arabia and Iran to implement, even though Iran and Saudi Arabia have an influential role as well,” Ammourieh said. With nothing seeming certain, the presidential election could be postponed even further, until foreign and local powers come to a unanimous agreement.